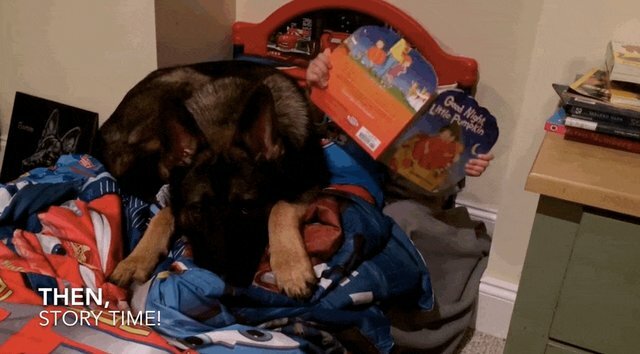 Zander and his German shepherd, Baron, might have the sweetest bedtime ritual in the whole entire world. 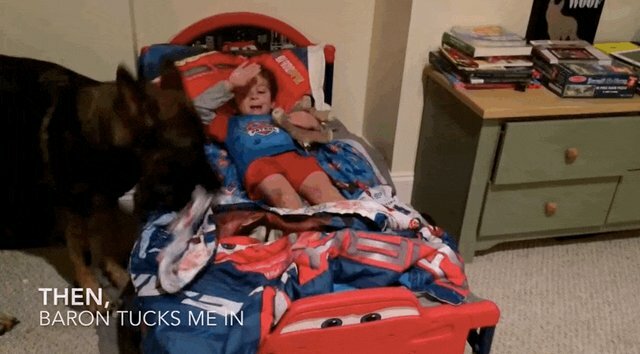 Get ready for some awww. 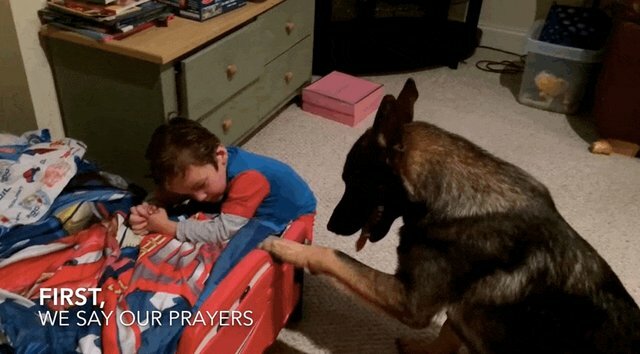 First they say their goodnight prayers, of course. Then Baron pulls the blankets up over to make sure he's nice and cozy. 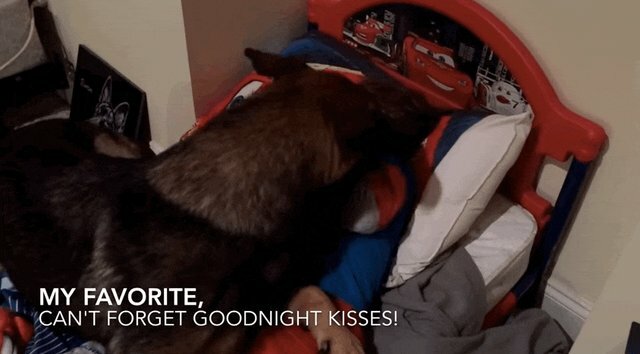 And no one could fall asleep without some slobbery kisses! Of course, Baron has to turn the lights off for Zander. 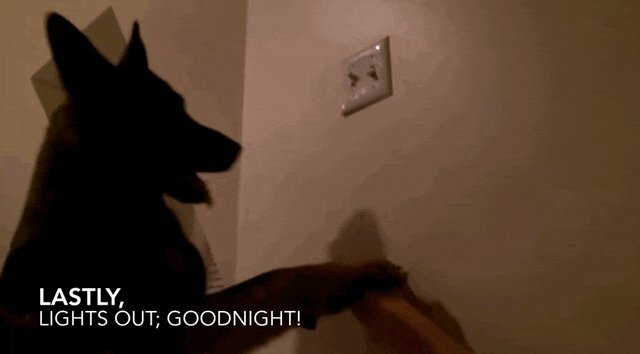 What an awesome pal to have at bedtime. This isn't the first time Baron has made a splash online for his incredible talents. In April, his family uploaded a video of him very helpfully loading the dishwasher.